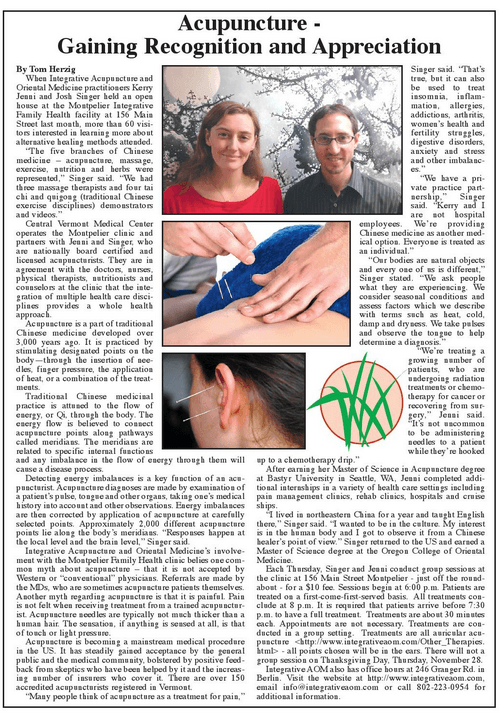 We love seeing acupuncture in the news about new research, studies and so much more. 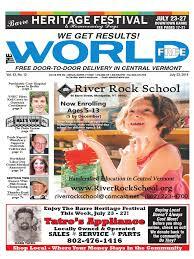 From time to time we’re featured in the news around Vermont for our work with acupuncture and the acupuncture community. Kerry was interviewed by Bredna Duran, of Acupuncture Today, in June 2014. Below is an excerpt of her interview. “When licensed acupuncturist Kerry Boyle Jenni was working aboard 30 cruise ships, she learned to navigate the world of patient care and was inspired to build a practice that would thrive on land. Cupping has been all over the news since Michael Phelps displayed prominent cupping marks during the 2016 summer Olympics. Acupuncturist Kerry Boyle was interviewed by Vermont news stations, WCAX and WPTZ to demonstrate cupping. Tom Herzing wrote an article on Integrative Acupuncture,acupuncture and Oriental Medicine and how it’s gaining recognition and appreciation. You can read a preview of his opening remarks below. Katie Moritz of The World wrote an article on Kerry Boyle’s involvement in the political action of the Vermont Acupuncture Association to try to increase access to acupuncture for all Vermonters for pain management. In an effort to reduce dependency on opiates, Kerry argues, acupuncture should be a mandated covered treatment option by insurance companies.